Being offered admission into a university is the prayer of every Nigerian students. This is because the number of students far outweighs the number of universities we have in Nigeria. Universities are not even helping the matter at all because most of them admit students based on "long-leg" which i know you understand what i mean. 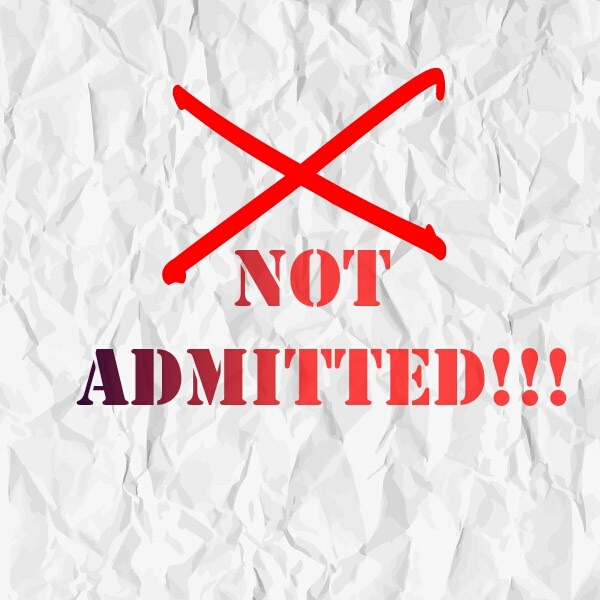 This post is focusing on reasons you might not be offered admission by the school you choose. This reasons are based on my research, so i hope you trust them. This is the most common reason why most of the students are being rejected yearly. For the new-bie, let me explain what i mean by cut-off mark. Cut-off mark is the bench mark or let me say boundary at which you as a student must reach before been offered admission into a certain university. There are factors that determines cut-off mark and example of those are; the number of candidates that choose the course, the high or low pass rate of JAMB/screening examination and so on. Cut-off marks are prone to increase or decrease by those factor i gave. I will explain more on the factors i gave and how cut-off mark is being derived my next post. This is one avoidable mistake students commit every year. I will always advise a student to make some little research about the course they want to apply for in JAMB exam, and one of those research is finding out about the subject combination for the course. You can simply do this by checking the brochure provided by JAMB. It won't cost you anything to do this little research because it is capable of destroying your admission this year. Take note!!!! Though some students below the age requirement of a particular school devise ways to get admitted but i won't advise any student to take the risk of passing JAMB exam and being denied admission simply because of your age (you know how painful it can be). Most schools requires the student to be 16 years old on or before October 1st. 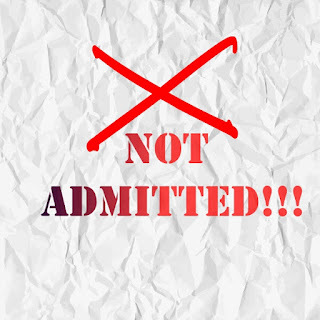 I have seen a student that was denied admission because of he was below the age requirement despite meeting other requirements that would have qualified him for the admission slot. So i will advise any student that he or she should make sure that he/she will be 16 years old on or before October 1st. I find it hard to believe that some students apply for admission despite failing a core subject in WAEC/NECO/GCE exam. Maybe they want to try their luck but to be sincere with you, no university will offer such student an admission slot except the student uses "long-leg" which i know you understand what i am saying. This is also a criteria that cab disqualify a student during admission process. A lot of candidates you are competing with, uses one sitting result and you know the federal universities favour one sitting result more. Why? The answer is simple; simply because they believe candidates with one sitting result are more educationally sound. You got my point? Yeah!!! I will explain more on the disadvantages of using two sitting result in my next post. The main reason i posted this is to make students aware of possible reasons that may lead to them being denied admission. So i will advise students to make sure they work on my point listed above and get ready to be admitted. I hope this post was helpful and useful to you. If you find it helpful and useful, you can kindly do me a favour by sharing this post to your friends on social media by using the share icon below this post. Also if you want to contribute or have any question to ask me, you can comment and i will make sure i reply your comment as soon as possible. 0 Response to "See Reasons Why you Might Not Gain Admission This Year"